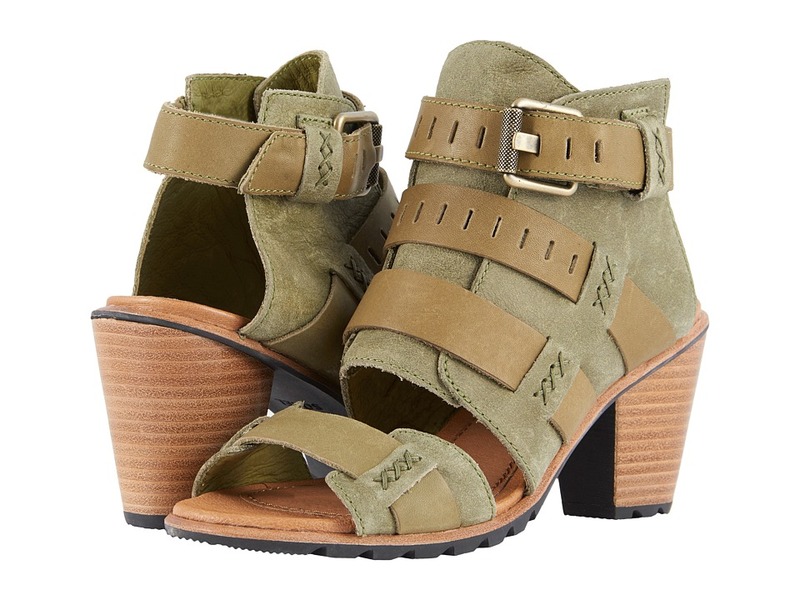 Turn heads this season with the bold and beautiful style of the SOREL Nadia Buckle sandal! 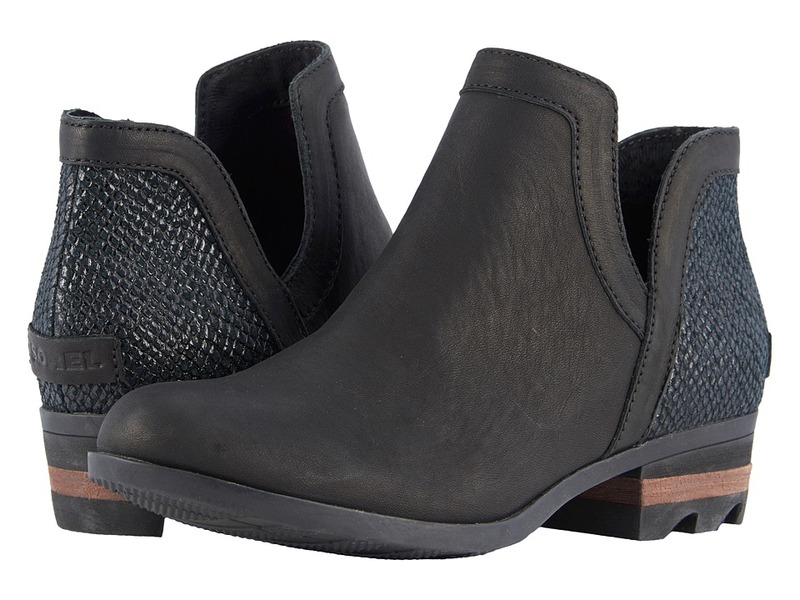 Full grain leather upper with a chic cutout design. 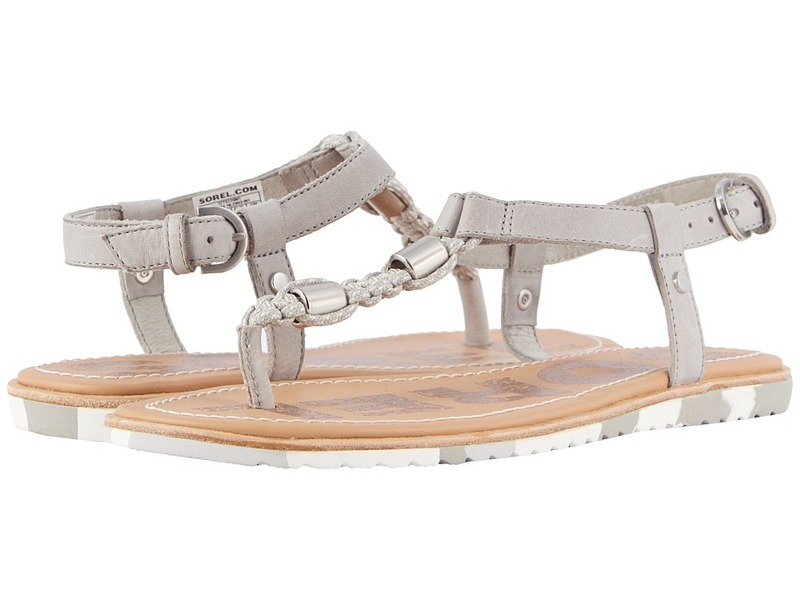 Three leather straps with an adjustable silver-tone buckle at ankle. Pigskin lining offers exquisite interior comfort. Cushioned die-cut memory EVA footbed with a pigskin leather top cover for added underfoot comfort. Molded rubber midsole. Leather-wrapped heel. Molded rubber outsole. Imported. Measurements: Heel Height: 3 in Weight: 12 oz Product measurements were taken using size 7, width B - Medium. Please note that measurements may vary by size. Weight of footwear is based on a single item, not a pair. 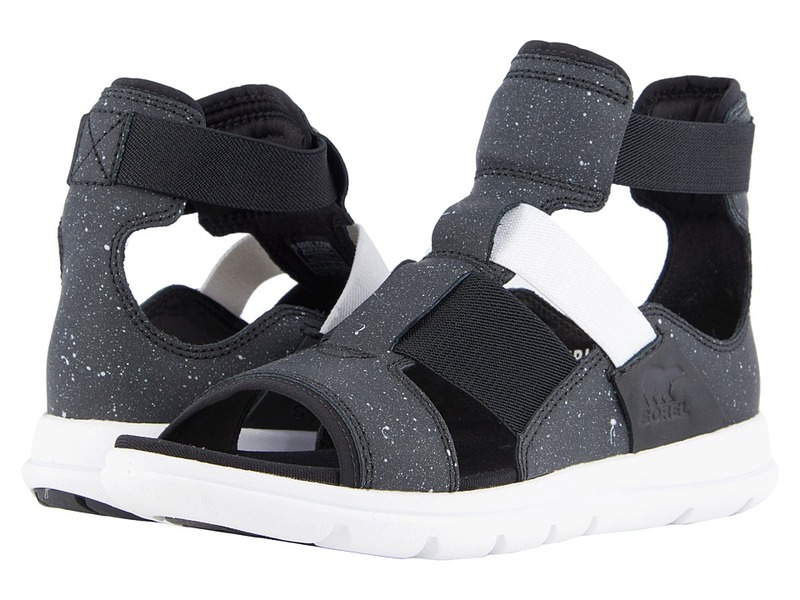 Be ready for the summer season with the sporty yet sophisticated style of the SOREL Ella T-Strap sandal. Full grain leather upper with knotted textile trim and crystal hardware embellishments. Easy slip-on style. Leather toe post. Lightly cushioned PU-like EVA footbed with leather topcover for added comfort. Rubber midsole provides added comfort. Molded rubber outsole with leather welt. Imported. Measurements: Heel Height: 1 2 in Weight: 6 oz Platform Height: 1 4 in Product measurements were taken using size 7, width B - Medium. Please note that measurements may vary by size. Weight of footwear is based on a single item, not a pair. 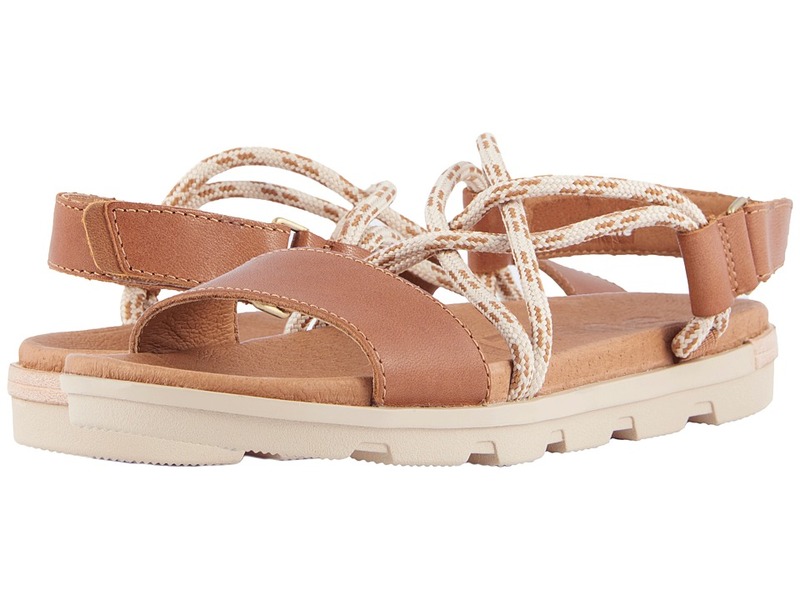 Be set for the summer with the sporty yet sophisticated style of the SOREL Ella Lace-Up sandal. Full grain leather and suede combination upper. Strappy design with metal D-ring accents and lace-up system. Back zipper closure for easy on and off. Lightly cushioned PU-like EVA footbed with leather topcover for added comfort. Rubber midsole provides added comfort. Molded rubber outsole with leather welt. Imported. Measurements: Heel Height: 1 2 in Weight: 8 oz Platform Height: 1 4 in Product measurements were taken using size 7, width B - Medium. Please note that measurements may vary by size. Weight of footwear is based on a single item, not a pair. 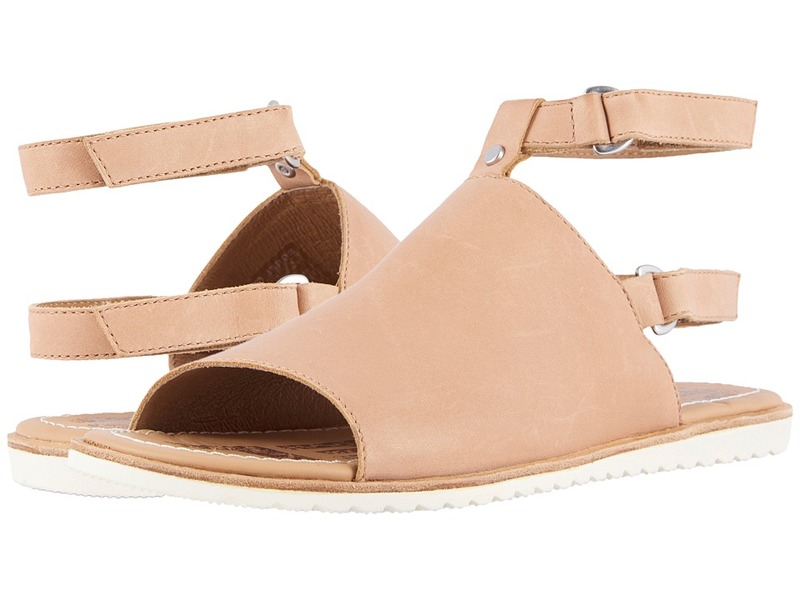 The SOREL Ella Mule Strap will have you set for the summer with its sporty yet sophisticated style. Full grain leather upper. Easy slip-on style featuring two leather straps with hook-and-loop closures for easy adjustability. Lightly cushioned PU-like EVA footbed with leather topcover for added comfort. Rubber midsole provides added comfort. Molded rubber outsole with leather welt. Imported. Measurements: Heel Height: 1 2 in Weight: 7 oz Platform Height: 1 4 in Product measurements were taken using size 7, width B - Medium. Please note that measurements may vary by size. Weight of footwear is based on a single item, not a pair. The bold and beautiful style of the SOREL Nadia Mule will have you turning heads this season! Full grain leather upper. Cross-stitch pattern across vamp edge. Open-toe design. Pigskin lining offers exquisite interior comfort. Cushioned die-cut memory EVA footbed with a pigskin leather top cover for added underfoot comfort. Molded rubber midsole. Stacked, leather-wrapped heel. Molded rubber outsole. Imported. Measurements: Heel Height: 3 in Weight: 10 oz Product measurements were taken using size 7, width B - Medium. Please note that measurements may vary by size. Weight of footwear is based on a single item, not a pair. 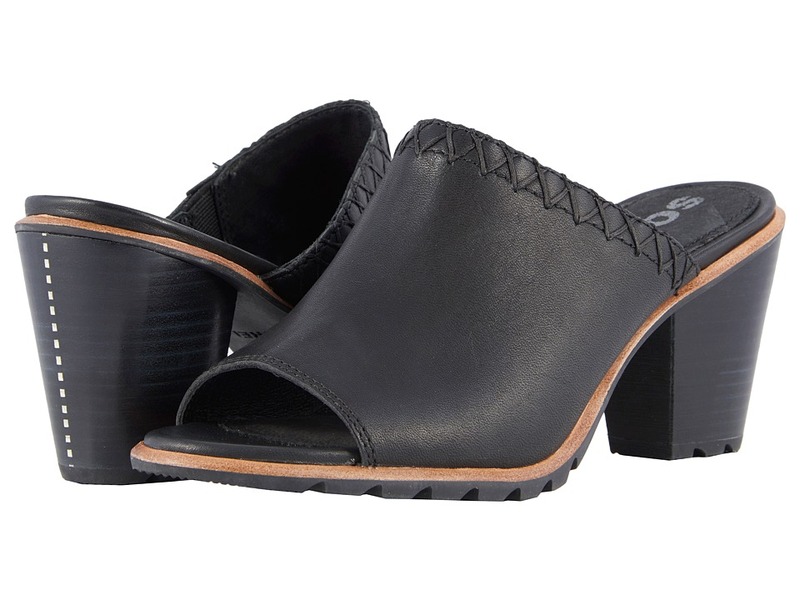 The Joanie Sandal II by SOREL still boasts a feminine silhouette with a little bit of edge to make a bold statement. Full grain leather upper. Ankle strap with buckle closure for an adjustable. Pigskin lining offers excellent next-to-skin comfort. Cushioned pigskin leather footbed offers comfortable underfoot support. Molded BPU-PU midsole and wedge provides added shock absorption. Molded rubber outsole with pronounced lugs for added comfort. Imported. Measurements: Heel Height: 2 1 2 in Weight: 12 oz Platform Height: 3 4 in Product measurements were taken using size 7, width B - Medium. Please note that measurements may vary by size. Weight of footwear is based on a single item, not a pair. The Joanie Ankle Lace by SOREL boasts a feminine silhouette with a little bit of modern edge that will make your summer look stand out. Full grain leather upper. Ankle strap with a lace closure for a secure fit. Leather strap at vamp with hook-and-loop closure for easy adjustability. Pigskin lining offers excellent next-to-skin comfort. Cushioned pigskin leather footbed offers comfortable underfoot support. Molded BPU-PU midsole and wedge provides added shock absorption. Molded rubber outsole with a pronounced chevron pattern for added comfort. Imported. Measurements: Heel Height: 2 3 4 in Weight: 12 oz Platform Height: 3 4 in Product measurements were taken using size 7, width B - Medium. Please note that measurements may vary by size. Weight of footwear is based on a single item, not a pair. 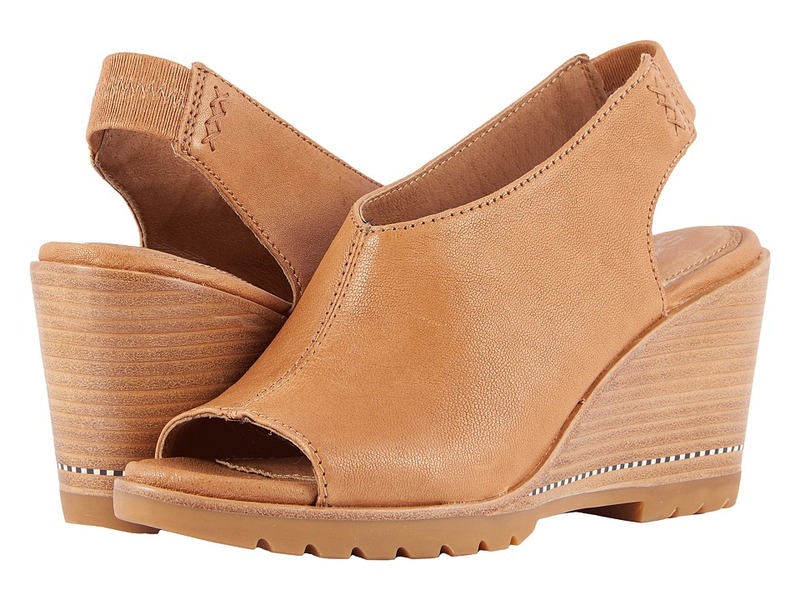 Liven up your look this season every time you wear the sleek, feminine style of the Joanie Gladiator II wedge. Leather upper with woven elastic straps at vamp. Leather ankle strap with hook-and-loop closure for easy adjustability. Peep toe. Pigskin lining offers excellent next-to-skin comfort. Cushioned pigskin leather footbed offers comfortable underfoot support. Molded BPU-PU midsole and wedge provides added shock absorption. Molded rubber outsole with pronounced lugs for added comfort. Imported. Measurements: Heel Height: 2 3 4 in Weight: 11 oz Platform Height: 3 4 in Product measurements were taken using size 7, width B - Medium. Please note that measurements may vary by size. Weight of footwear is based on a single item, not a pair. The SOREL&amp#174 After Hours Sandal has an endlessly versatile design that will take you from the office to the evening in total style. Full grain leather upper. Leather ankle strap with an adjustable metal buckle. Peep toe design. Soft leather lining. Die-cut memory EVA footbed with leather top cover for added comfort. Molded BPU wedge with EVA insert in forefoot. Leather welt for long-lasting durability. Leather-wrapped wedge. Molded rubber outsole. Imported. Measurements: Heel Height: 3 1 4 in Weight: 12 oz Platform Height: 3 4 in Product measurements were taken using size 7, width B - Medium. Please note that measurements may vary by size. Weight of footwear is based on a single item, not a pair. The SOREL&amp#174 After Hours Slingback has an endlessly versatile design that will take you from the office to the evening in total style. Full grain leather upper. Easy slip-on style with back elastic strap. Peep toe design. Soft leather lining. Die-cut memory EVA footbed with leather top cover for added comfort. Molded BPU wedge with EVA insert in forefoot. Leather welt for long-lasting durability. Leather-wrapped wedge. Molded rubber outsole. Imported. Measurements: Heel Height: 3 1 2 in Weight: 11 oz Platform Height: 3 4 in Product measurements were taken using size 7, width B - Medium. Please note that measurements may vary by size. Weight of footwear is based on a single item, not a pair. Your evening will just be getting started when you slip on the SOREL After Hours Lace-Up bootie. Full grain leather and suede upper. Features a tongue-less construction where the front section of the shaft is open to show off your favorite tights or bare skin. Front lace-up system with woven fabric laces and D-ring metal hardware for a secure fit. Leather welt for added durability. Leather lining for a comfortable next-to-skin feel. Die-cut memory EVA footbed with a leather top cover for added comfort. Molded BPU wedge with EVA insert in forefoot. Leather-wrapped heel. Molded rubber outsole. Imported. Measurements: Heel Height: 3 in Weight: 1 lb Platform Height: 3 4 in Product measurements were taken using size 7, width B - Medium. Please note that measurements may vary by size. Weight of footwear is based on a single item, not a pair. Always be ready for those laid-back, sunny days with the long-lasting style of the SOREL Torpeda Sandal II. Full grain leather with woven textile straps. Back heel strap with hook-and-loop closure for easy adjustability. Soft pigskin lining. Lightly cushioned PU-like EVA footbed with pigskin topcover for added support and comfort. Molded rubber midsole. Molded rubber outsole with leather welt insert. Imported. Measurements: Weight: 8 oz Product measurements were taken using size 7, width B - Medium. Please note that measurements may vary by size. Weight of footwear is based on a single item, not a pair. 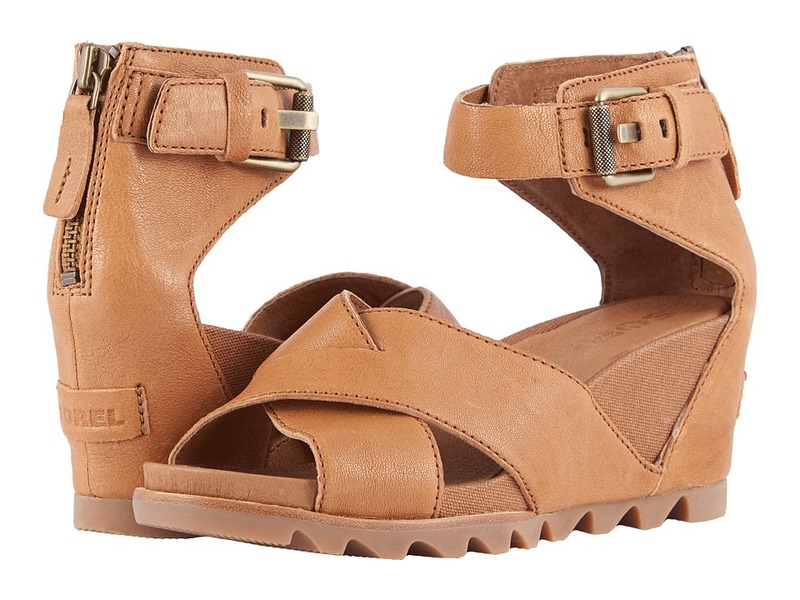 The SOREL Explorer Gladiator sandal offers a fierce style for your summer look! Rubber-coated suede upper with elastic textile straps. Easy slip-on style. Breathable textile lining. Removable, molded PU-like EVA footbed with soft textile topcover for comfortable underfoot support. Outsole-grade EVA midsole with molded rubber insert. Outsole-grade EVA outsole construction with molded rubber pods for excellent stability and grip. Imported. Measurements: Weight: 8 oz Product measurements were taken using size 7, width B - Medium. Please note that measurements may vary by size. Weight of footwear is based on a single item, not a pair. 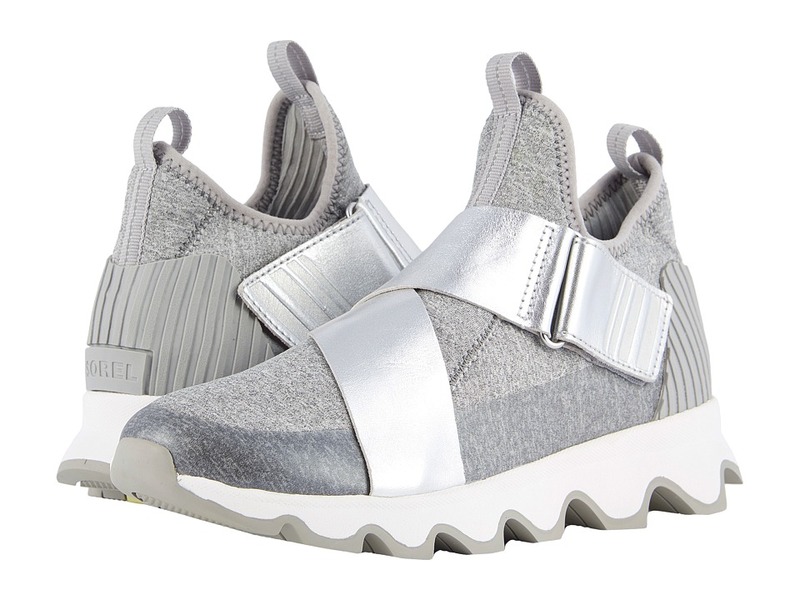 You will love the sporty-chic style of the SOREL Kinetic Speed shoe! Suede and metallic full grain leather upper (Natural color) or air mesh and metallic full grain upper (White and Black colors). Speed lace system with toggle closure allows for quick adjustability. Molded rubber heel detail. Breathable textile lining. Removable, molded PU-like EVA footbed with a textile topcover for excellent underfoot comfort. Molded EVA midsole for added underfoot support and shock absorption. Molded rubber outsole provides long-lasting durability. Imported. Measurements: Weight: 8 oz Product measurements were taken using size 7, width B - Medium. Please note that measurements may vary by size. Weight of footwear is based on a single item, not a pair. The bold and beautiful style of the SOREL Nadia Bootie will have you turning heads this season! Full grain leather upper with an ankle-notch cutout design. Open-toe design. Pigskin lining offers exquisite interior comfort. Cushioned die-cut memory EVA footbed with a pigskin leather top cover for added underfoot comfort. Molded rubber midsole. Stacked architectural, leather-wrapped heel. Molded rubber outsole. Imported. Measurements: Heel Height: 3 in Weight: 12 oz Product measurements were taken using size 7, width B - Medium. Please note that measurements may vary by size. Weight of footwear is based on a single item, not a pair. 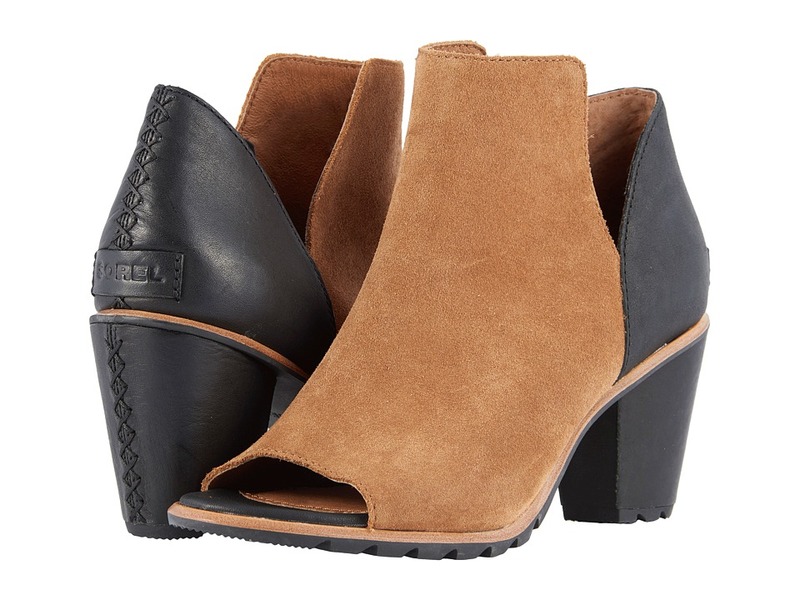 The SOREL Lolla Cut Out bootie takes a classic silhouette and adds an edgy cut-out design for a truly modern look. Suede upper. Easy slip-on design. Pigskin and canvas lining for both comfort and breathability. Die-cut memory EVA footbed with pigskin topcover. Molded rubber midsole. Leather-wrapped heel. Molded rubber outsole. Imported. Measurements: Heel Height: 1 1 2 in Weight: 13 oz Product measurements were taken using size 7, width B - Medium. Please note that measurements may vary by size. Weight of footwear is based on a single item, not a pair. 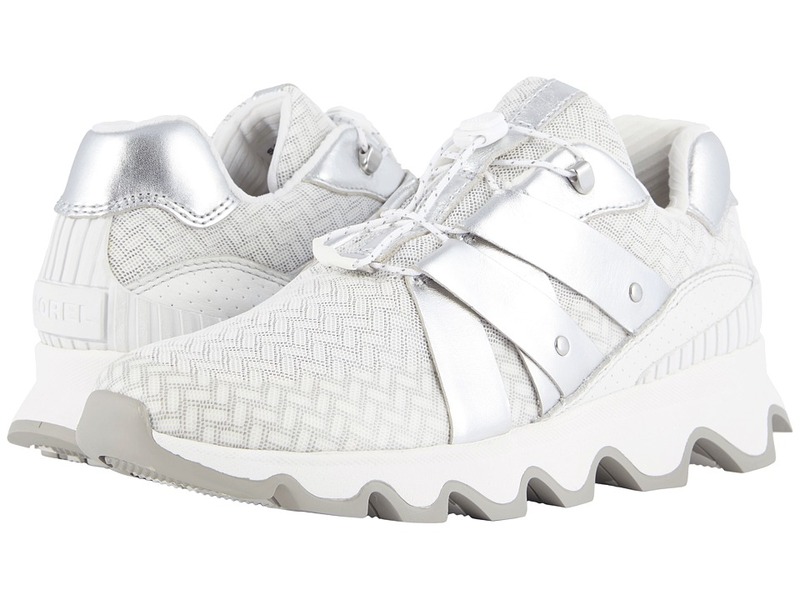 You will love the sporty-chic style of the SOREL Kinetic Sneak shoe! Textile and mesh upper. Slip-on style with overlapped elastic straps with hook-and-loop closure. Molded rubber heel detail. Breathable textile lining. Removable, molded PU-like EVA footbed with a textile topcover for excellent underfoot comfort. Molded EVA midsole for added underfoot support and shock absorption. Molded rubber outsole with oversized scalloped sole design for stability. Imported. Measurements: Weight: 8 oz Product measurements were taken using size 7, width B - Medium. Please note that measurements may vary by size. Weight of footwear is based on a single item, not a pair. 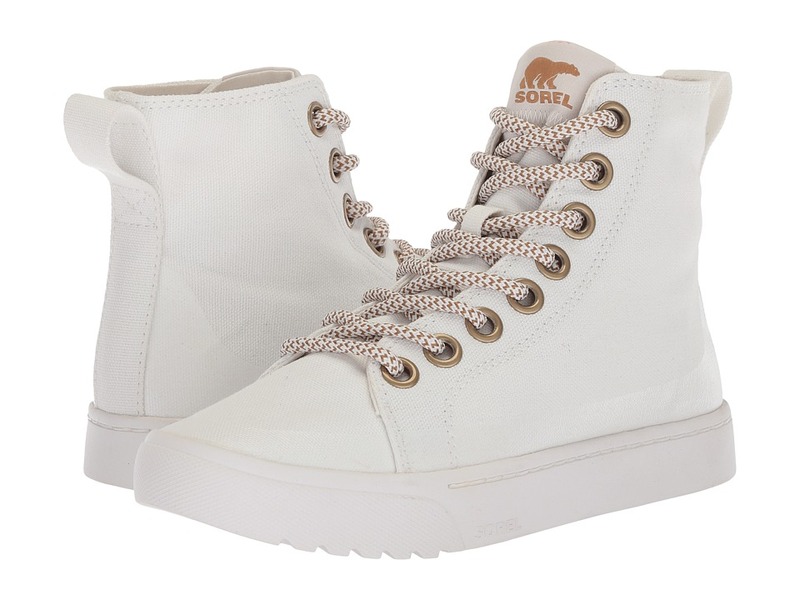 The SOREL Campsneak Chukka offers a sleek, effortless style that is ideal for everyday wear. Canvas and synthetic upper. Traditional lace-up system with sturdy metal eyelets for a secure fit. Back pull loop. Canvas lining for added breathability. Removable die-cut memory foam EVA footbed with pigskin top cover for both support and comfort. Molded rubber midsole. Molded rubber outsole with tread pattern for added traction. Imported. Measurements: Weight: 11 oz Product measurements were taken using size 7, width B - Medium. Please note that measurements may vary by size. Weight of footwear is based on a single item, not a pair.